The Parental Accountability Court Program seeks to remove the underlying issues that cause noncustodial parents to become chronic non-payers of child support. Through judicial oversight, the program assists to transition non-custodial parents with barriers to self-sufficiency through parent accountability, employment, and education. Dr. Brian Otott update members on the status and plans for the Paulding school system. Dr. Otott marked the growth of the Paulding school system as well as the research and planning to keep up with that growth. In addition to quantity, Dr. Otott also spoke of the programs, opportunities, and grants that are being applied to our school system. 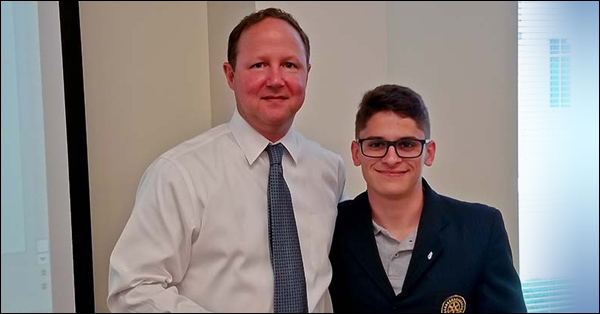 Introduced by club president Ford Thigpen and member Brian Headrick, the Paulding Rotary is one of three local Georgia Rotary Clubs sponsoring him in the Georgia Rotary Student Program. Mr. Gabriel is pursuing a degree in chemical engineering. 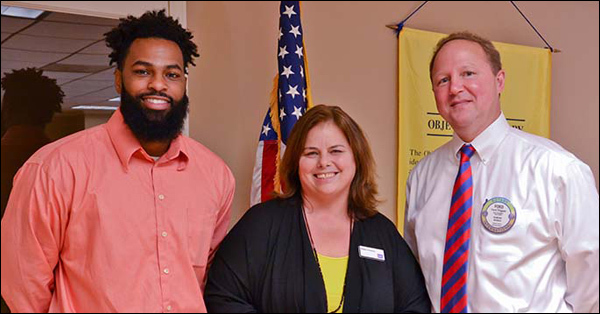 Ford Thigpen provided Debbie Freeman and Marcus Young of the Relay for Life program with a check for $1000 as per their annual donation. 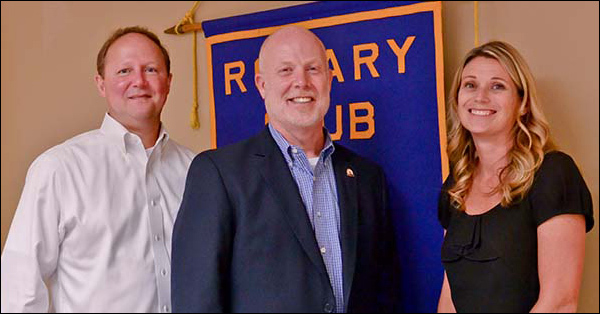 The Paulding Rotary gives an annual donation to this and many other local nonprofit groups which provide for needs here in Paulding County. 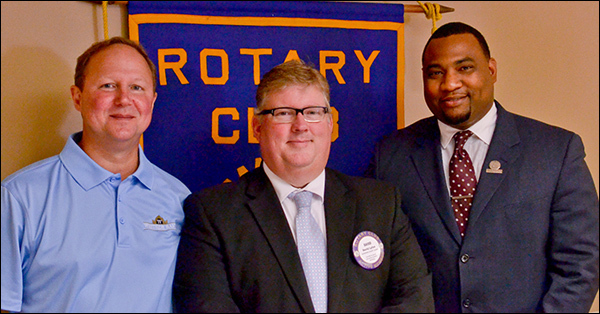 Paulding County Rotary Club president, Ford Thigpen welcomed guests from East Paulding High School. 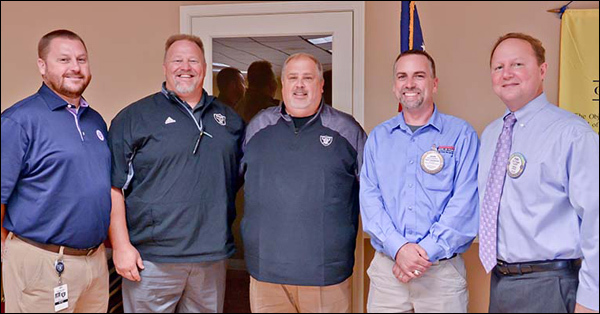 In addition to our club members, we were joined by East Paulding's Assistant Principal/Athletic Director Brad Thomason, Head Coach Billy Shackelford, and Community Coach Bill Driskell. Coach Driskell explained the mentoring program for East Paulding. 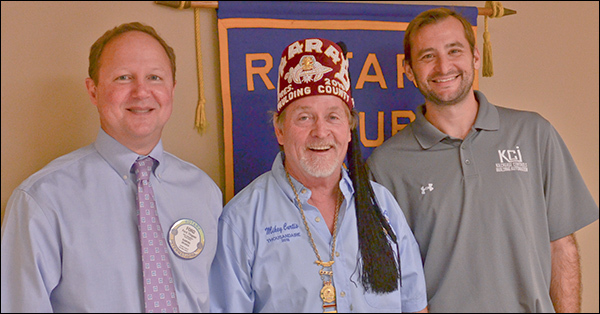 Mikey Curtis of the Paulding County Shrine Club visited the Paulding Rotary club. 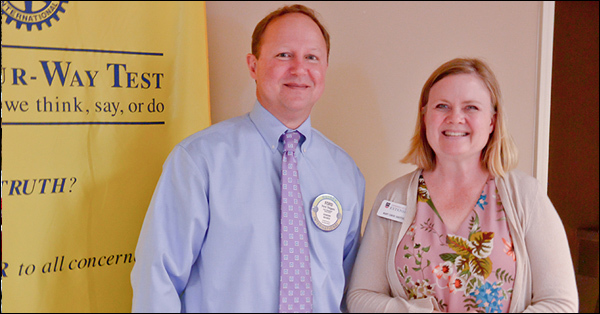 Mr. Curtis explain some of the histories of the Shrine Club for the Rotarians and updated them with information on their upcoming charity golf tournament. 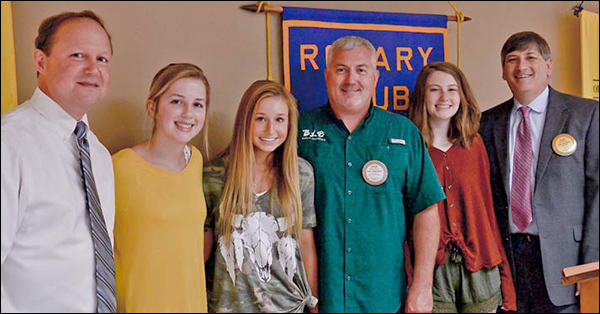 The Paulding Rotary Club welcomed this year's participants in the RYLA program. RYLA is a Rotary program that offers leadership skills and training to youth. This year's participants were Callie Benson, Addie Thigpen, and Marion Plumley. All of the participants shared their experiences with the club and all agreed that it was a worthwhile program and learned something from the program.